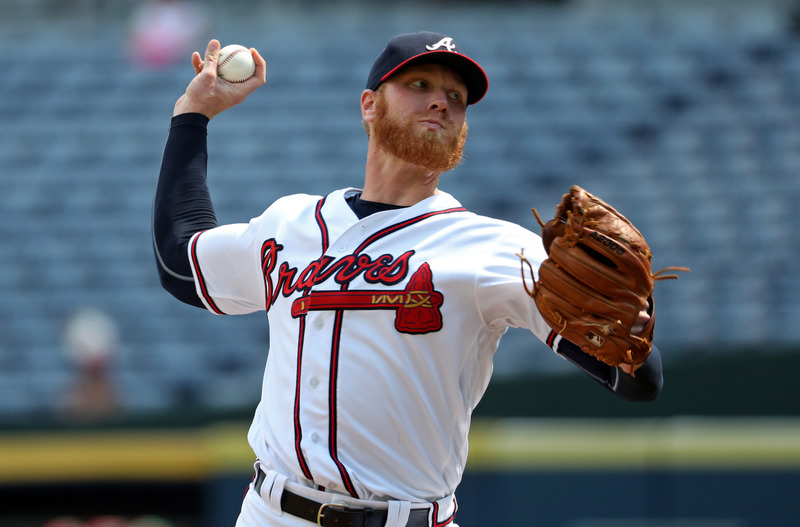 Atlanta Braves: Busy Shopping Next Off-Season? It’s February 4, and there are still a lot of good players looking for jobs. Buster Olney thinks that next year will be even worse for free agents, which may create opportunities for the Atlanta Braves. 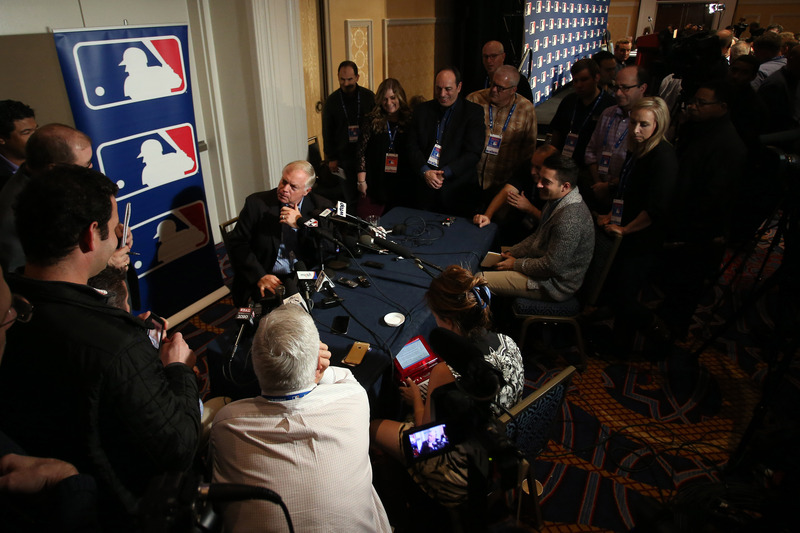 Writing a new Insiders-only column for ESPN, Buster Olney is worried about baseball’s free agents. 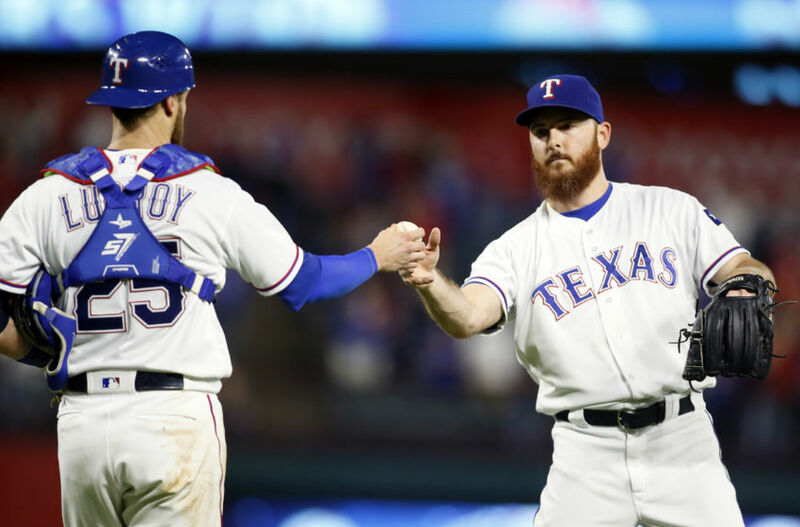 This year’s crop hasn’t been especially noteworthy, but between poor pitching options and a glut of bats, several contracts have been slower – and lower – to develop. The Atlanta Braves saw this developing and quickly acted to bring in stop-gaps to act as bridges to 2018. We know this – we’ve discussed it the entire off-season. For the most part, Coppy got what he wanted and left others to look sheepishly around the ballroom looking for a dance partner after getting stood up by their dates. 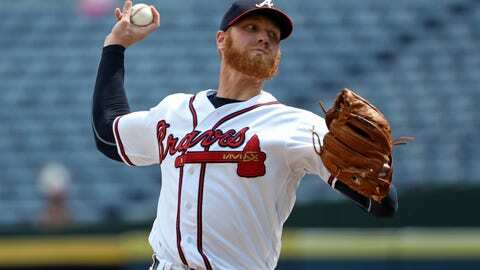 But that sets up next off-season, and there’s several elements converging on the horizon that should all work in the Braves favor. As interesting as the 2017 might be, I’m seeing this and already looking forward to another calendar. Saddle up… let’s take a look. There are two elements to the new MLB Collective Bargaining Agreement that I have in mind here. But because a number of teams seem to be treating the newly negotiated luxury tax thresholds as a hard cap, the best players in the market could find the bidding for them stifled by concerns over how much budget space clubs want to devote to individual players. So why are the Dodgers being a bit tight with cash now? Because they started 2016 with a $223+ million payroll. Likewise, the Yankees and Tigers were above the mark in 2016. Right now, the Tigers and Red Sox are projected to be just under the threshold, and the Yankees a bit further under, leaving the Dodgers are the only taxed team for 2017 (near $230 million). Olney seems to be right – even many of the higher-budget clubs are trying to stave off the tax man. If the Dodgers were to exceed $235 million this season, for instance, their surcharge would jump from 12% to 45%… from $4.8 million to $18 million. And that’s on top of their multiple-repeat-offender 50% tax this season (which would be $20 million at that level). So that would be $38 million of penalties for a $40 million violation. Imagine spending $20 million for a free agent and then getting a bill for another $19 million… is anyone in baseball worth $39 million a year? Okay, except Mike Trout. So after spending big to retain Justin Turner, Kenley Jansen, and Rich Hill, the Dodgers opted to trade for a much cheaper Logan Forsythe – having traded Howie Kendrick and Carlos Ruiz while letting Chase Utley walk away. So the effect is this: instead of going for multiple free agents, these teams are trying to get younger and “settling” for maybe 1 premium name instead or 2 or 3. That makes the market more open for other clubs… especially one such as Atlanta that is reading this market correctly and operating with the eye for using the primes years of a player’s career. It used to be easy to understand. Give your pending free agent a Qualifying Offer (QO), and your team gets a 1st Round (sandwich) pick when he signs with another club. The signing club loses their first-available draft pick – the only exception being if they have a protected Top-10 pick. That was the entire scheme. Well, once teams decided that those draft picks were more valuable than the marginal-QO players, that system became a “change at all costs” part of the new CBA. Qualifying Offers still exist, though a player can only be tagged with one once – ever. 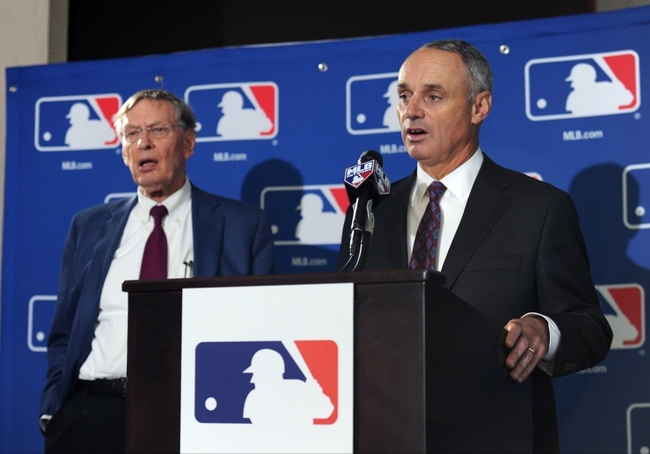 Teams are ranked as (A) luxury tax violators; (B) revenue sharing recipients; or (C) neither. 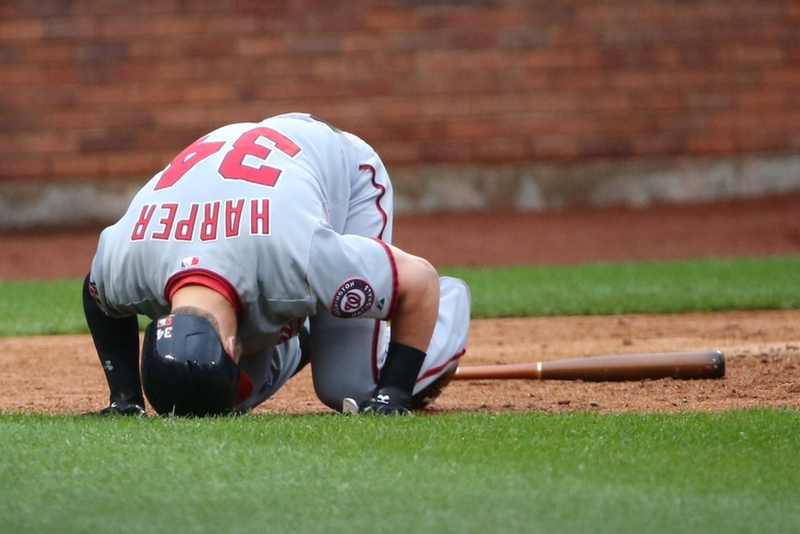 These categories determine payment and compensation for free agents won or lost. 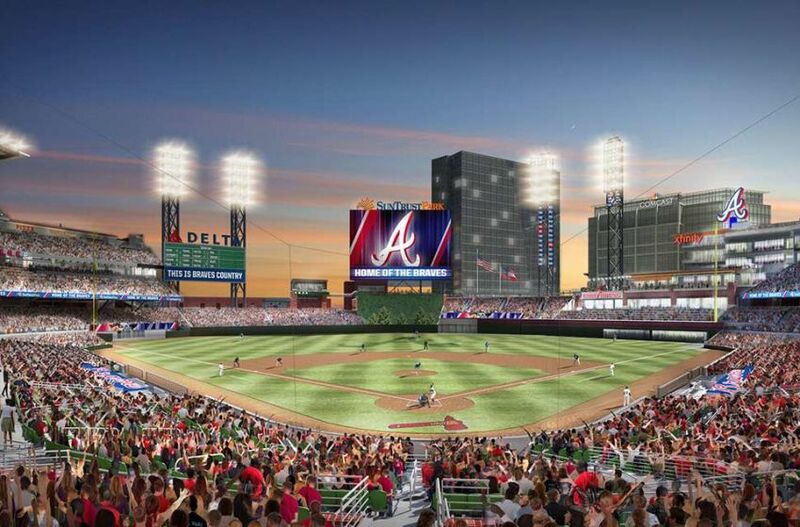 As you look through the rest, note that the Atlanta Braves will be a (C) Club. Signing team: loses (A) 2nd & 5th round picks plus $1 million of International pool money; (B) 3rd round pick only; (C) 2nd highest available pick and $500K of International money. Losing team: (A) gets end-of-4th round draft pick; while both (B) and (C) get end of 2nd round picks. Suppose a team signs 2 QO guys? (A) teams: the above penalty, plus loss of 3rd and 6th highest draft picks and another $1 million of International pool money. (B) teams: the above penalty, plus loss of 4th highest draft pick. (C) teams: the above penalty, plus 3rd highest draft pick and another $500K of International pool money. Competitive Balance picks – which are tradable – are exempt from loss via this scheme. A team might, however, gain AND lose picks via multiple free agent transaction in a single year. Bryce Harper plays for the Nationals, a Class C team (my designation) by this reckoning. Harper will be a free agent after the 2018 season. If they lose him, the Nationals would stand to receive an end-of-the-second-round draft pick… probably around 65th-70th overall. So if you’re the Nationals, what do you do? Hold him for that pick or trade him after 2017 in the hopes of getting 2-3 premium prospects? Tough decision – if you’re still expecting to be contending in 2018 – but after getting Adam Eaton this winter, the Nats might want to cash in their trade chip while they can. That’s the scenario the new CBA is creating: one in which more trades should be encouraged among teams that won’t get back that 1st rounder any longer. All of that to say this: while the post-2017 free agent market will be better than the one we’re in right now, it could be flooded with extra players as teams realize the draft-pick math involved. Next: So Who Will Be Available? Iif Jose Quintana, Sonny Gray, or Chris Archer (for example) do not get dealt before next off-season, then they will certainly be back out on the market again… albeit with more competition, which should lower their prices. Now let’s also throw in a couple of contract opt-outs and a few CBA-forced trades as discussed above. This is why Buster Olney is concerned about next year’s market: because it’s (a) better than normal – just for the ‘usual’ reasons, and (b) it should be inflated for strategic reasons. I’ll throw one more thing into the mix: if the white Sox and Rays truly think that moving Quintana and Archer represent good moves for their clubs long term, then now is the right time – before they get lost in the shuffle next year. Why would teams pay the price then? They could always sign a free agent or otherwise go with a cheaper option. 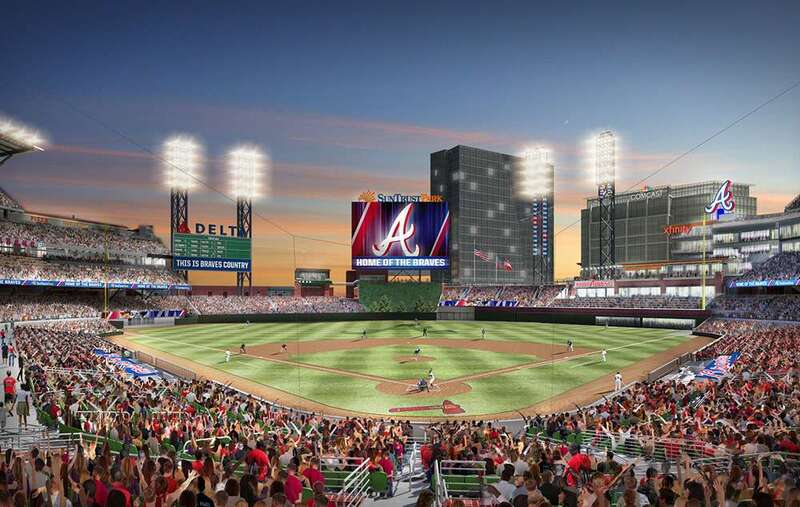 AtlantaBraves.com rendering of SunTrust Park with new wall. Now we get specifically to the Atlanta Braves. This team is aiming to spend quite a bit this season to (a) get more competitive; and (b) perhaps cash in on a trade or two at the deadline while awaiting some youngsters to earn a promotion. Jim Johnson is slated for $4.5m in 2018; would have to be traded to save this figure. That’s certainly enough for a significant free agent, plus another solid player via trade. And who knows? Maybe the payroll ceiling will be raised even a bit higher for 2018. $50 million to spend? $55 million perhaps? By the end of 2017’s season, the Braves should have a better idea about who will be stepping up to the majors and who they can afford to relinquish via trade or otherwise. Clearly, there will be a few holes that will need to be filled, and having better long-term outlook will significantly improve the chances of making the right calls between emerging players and those destined to lag behind. Coppy will be able to adjust appropriately… with resources and choices. That’s the beauty of this setup. No need to fit square pegs into round holes… or to overspend for the entire toybox. It is coming together like an A-Team plan. It’s still a highly competitive environment, but the combination of a solid free agent class, the need to trade some players early for better returns, reluctance of the top-tiered teams to spend freely, and available cash for Atlanta presents an excellent opportunity for the Braves to position themselves for a future that can take advantage of this timing. That sets up the post-2017 off-season for quite a wild ride with numerous possible moving parts. You kind of want to skip the story and cut to the end of the book now, right?